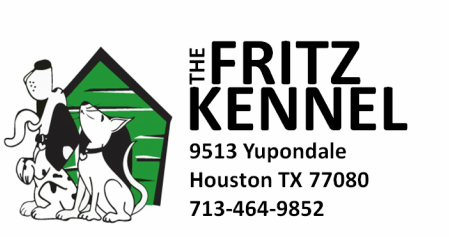 The staff at Fritz Kennel are super friendly and really care for the well being of our dogs. They make us feel like family to them. They meet and greet you when you drop off your pup. Every time I pick up my kid she is exhausted! I can tell she was playing and getting lots of exercise. Damian and Pat are awesome and have high customer service levels. I don't know what I would do without the Fritz family! I was lucky enough to find the Fritz Kennel after my other daycare spot closed down suddenly in Jan 2014.
newly acquired barking and herding tendencies)! My dog is thoroughly tired after a playing at their facility! 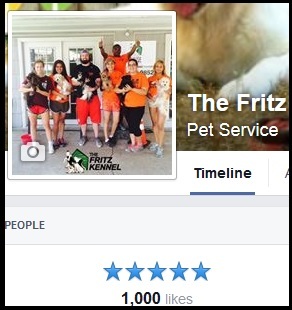 Thanks to our wonderful customers for getting us to 1,000 likes and 5 stars across the board!